Overview... a scientist in a space station orbiting Solaris. 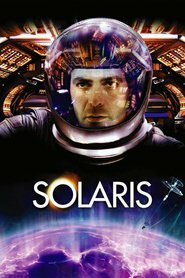 Solaris is a planet that is completely covered by ocean – that lives, thinks, and acts. There is no question that Kelvin and his team are dealing with a higher intelligence, one that may even be a reflection of our own consciousness. There's no reference point for what's going on; it's never happened before. It's a clean break in the fabric of the Universe – a gap. There is nothing to do but experience it, moment-to-moment, and not let it destroy him. Personality... disillusioned and haunted. Kelvin’s decided that if it is God doing this, it's a sick God. Its ambitions exceed its powers, but it doesn't realize it. It's created something Kelvin hates – a situation without a goal. Since his exposure to Solaris, he feels completely and continually out of sync. Now he must cope with this new reality. Chris Kelvin's popularity ranking on CharacTour is #4729 out of 5,000+ characters. See our top-ranked characters and read their profiles.